Because they are operating vehicles with a high risk of causing injury or death, it is essential that truck drivers receive effective and adequate training before taking to the roadways. Operating a tractor-trailer requires in-depth knowledge and skills and is entirely different from driving a car or other smaller vehicle. Even the largest of sport utility vehicles (SUVs) are nowhere near as complex to operate as a large commercial truck. Trucking companies are responsible for ensuring that their drivers have the required credentials and have received necessary training. If they have failed to do so, and a driver causes an accident, both the driver and the truck company may be held liable for any resulting injuries. The law firm of Harris Lowry Manton LLP is dedicated to holding truck drivers and companies accountable to their legal duty to minimize the risk commercial trucks pose on the Georgia roadways. Our team of Atlanta truck accident attorneys examines all records related to a truck accident to ensure that any failure on the truck company’s part to properly train or supervise their driver is accounted for. If you have been injured in an accident caused by a poorly trained commercial truck driver, we are prepared to fight for your interests. Anyone who operates a commercial vehicle is required, by state and federal law, to possess a commercial driver license (CDL). To obtain this credential, drivers must pass both a road test and a knowledge test to ensure he or she has mastery of the skills required to safely operate a tractor-trailer or other commercial vehicle. Truck companies must ensure that any driver who operates their vehicle have a valid CDL upon entering their employ. 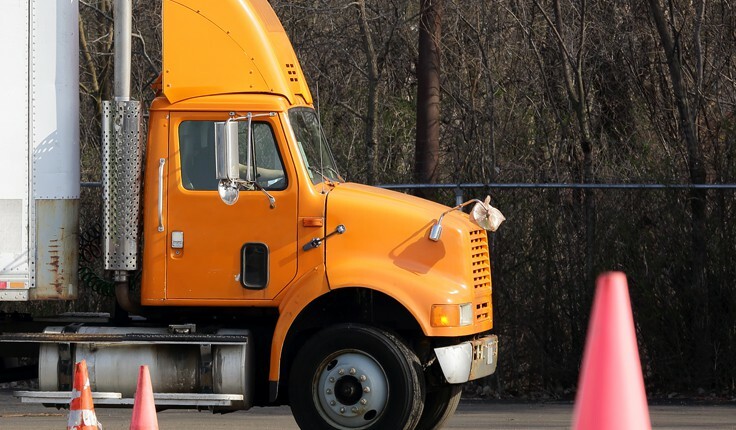 Additionally, truck companies should stay abreast of any changes to a driver’s CDL status, which can result from traffic violations, accidents, or failure to renew their CDL. Still, a CDL is not sufficient to ensure that a driver is properly trained and prepared to operate a truck company’s commercial vehicles. As such, companies should provide their own training and supervision, meeting federal requirements regulated by the Federal Motor Carrier Safety Administration (FMCSA), and state requirements regulated by the Georgia Department of Public Safety Motor Carrier Compliance Division (MCCD). Additionally, all companies that operate commercial vehicles in the state of Georgia are required to complete the Georgia Required Safety Education Seminar. Commercial trucking is a huge industry. When truck companies cut corners by failing to hire licensed drivers or to appropriately train their workers, they should be held accountable. A qualified Atlanta truck accident attorney at HLM is prepared to fight for maximum compensation if you have been injured because of a truck company’s negligence. Use our contact form or call us today to explore your options. We can be reached in Atlanta at 404-998-8847 or in Savannah at 912-417-3774. Your first consultation is free.